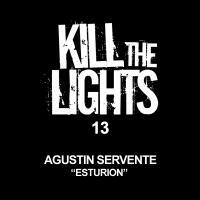 As one half of Heatbeat, Agustin Servente has been exciting trance fans for some time with a string of quality releases on labels including Armada, Istmo and High Contrast. With this latest solo release and debut on Matt Hardwick's "Kill the Light's" imprint he looks set to excite us all further with this triple mix single. Agustin's original is an uplifting melodic affair with an infectious hook that rightly remains prominent in the remixes with Jonas Hornblad picking up the tempo slightly whilst simultaneously taking things down deep and subby! It is then left to Liam Melly to bring us home nicely with his driving interpretation that still sits firmly in peak time territory. 'Esturion' is available now from Beatport and iTunes.